ABC Jonesboro Bail Bonds is here to assist you or a loved one in a difficult time to secure timely release from jail. The bail bond process can be confusing, but we are here to answer all of your questions. We provide fast and confidential service with a high degree of respect. Don’t get overwhelmed; call Anytime Bail Bonding, Inc. at (770) 473-1027 or visit our office located at 8860 Tara Blvd., Jonesboro, GA 30236. We understand that this can be one of the most unpleasant experiences of your life. 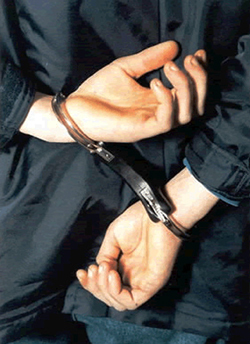 Anytime Bail Bonding, Inc. is sympathetic to your situation and will be with you along the way. We have over 20 years of experience in the bail bond industry and offer assistance 24/7. We have superior customer service and know the in’s and out’s of the process to provide you with the best service. A Judge may grant a bail bond based on the alleged crime and the defendant’s criminal history, prior court appearances, ties to the community and/or dangerousness to the community. Instead of having to post the full amount of the bond with the court, you can hire the services of ABC Jonesboro Bail Bonds, for a more affordable option. We will take a small non-refundable fee (12 to 15 percent) of the total bond, which may include some additional fees, and assume supervision of the defendant. Payment plans may be available to you as well. In addition, some collateral (for instance real estate) may be taken to further secure the bond. A third-party indemnitor, such as a friend or relative, may be asked to co-sign the bond to guarantee appearance in court. ABC Jonesboro Bail Bonds will need the following information to secure the release of your loved one from jail: date of birth, arresting charge, jail being held (county, city, state), arresting agency, booking number and bail amount. Anytime Bail Bonding, Inc. has been in business for over 20 years and we know how the bail bond process works throughout the state of GA. No bail is too small or large. We offer both traditional or immigration bonds. ABC Jonesboro Bail Bonds is ready to assist you and your loved one. Call us today at (770) 473-1027.